The Economic and Financial Crimes Commission (EFCC) has said it cannot probe Kano State Governor, Abdullahi Ganduje, who is accused of receiving millions of dollars in bribe because he enjoys constitutional immunity from criminal proceedings. â€œThe governor is still serving and constitutionally is covered by immunity. Being that as it may, the matter is in the instance sub judice,â€ the EFCC posted from its Twitter handle Thursday, during a tweet meet organised by Tap Nitiative for Citizens Development, a public accountability think-tank. â€œInvestigation of anyone for an alleged fraud remains a covert process,â€ the EFCC added. Ganduje has been the subject of several videos, which appeared to show him engaging in contract racketeering. The governor could be seen receiving wads of US dollars from persons believed to be public works contractors. 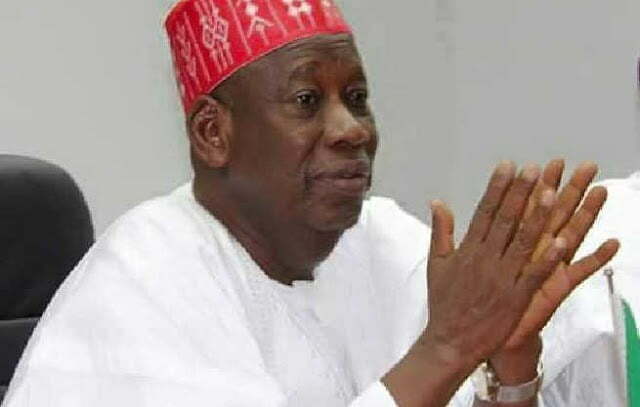 Ganduje has dismissed the videos as â€œclonedâ€ and filed a lawsuit against the publisher of the Daily Nigerian online newspaper, Jaafar Jaafar. Why are they playing saint now?